As the 3rd largest pork exporter of the world, trade policies are of utmost importance to the prosperity and vitality of the Canadian pork industry. 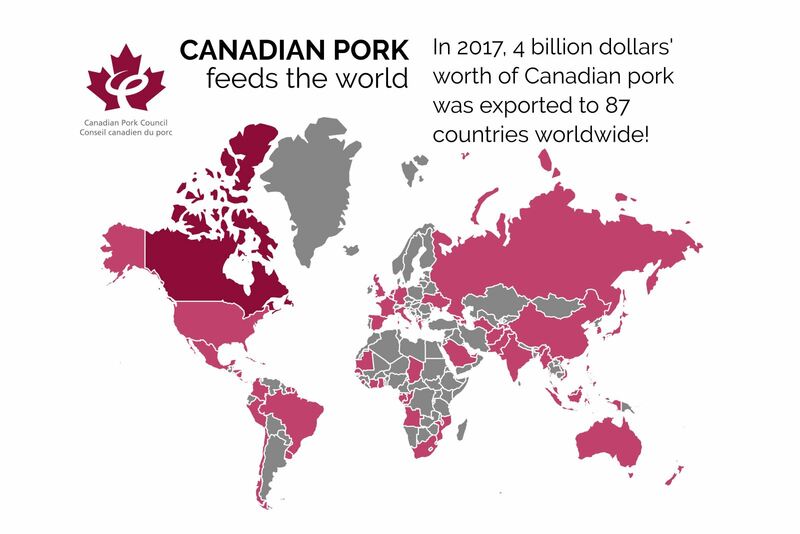 In 2017, Canada has exported over 1.2 million tonnes of pork and pork products valued at $4 billion to 87 countries. The Canadian government's trade agenda is instrumental in driving benefits to Canadian hog producers. The CPC plays an influential role in helping to shape federal trade priorities, through direct representations and through organizations that have mutual interests. All the long-term projections for global demand for pork paint a picture of sustained increase well into the future. 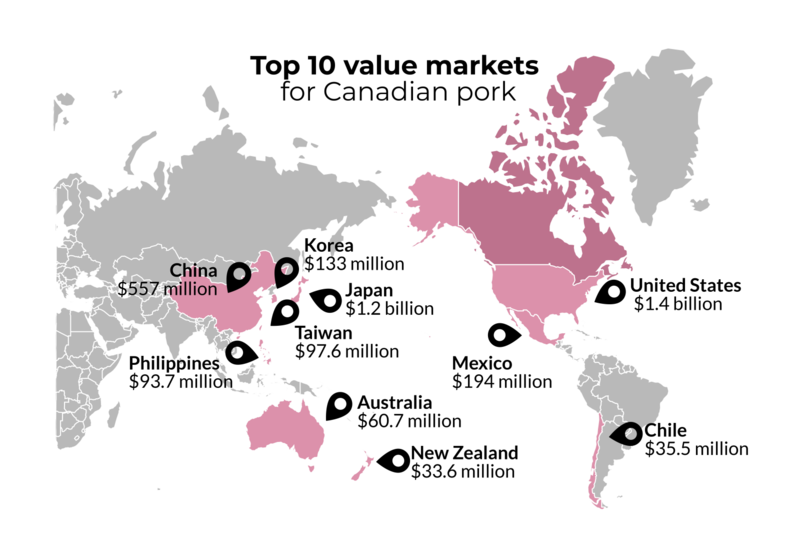 Canada's ability to be able to maximize on the opportunity to provide quality pork to the rest of the world is in large part going to be a determinant of overall success. As 70 % of Canada's pork is exported, expanding market access through free trade agreements a key priority for the Canadian Pork Council. Trade agreements allow the Canadian pork industry to benefit from the best tariffs and ensure competitive access to international markets. The Canadian Pork Council works closely with Canada Pork International on all trade related issues. Established in 1991, Canada Pork International is the export promotion agency of the Canadian pork industry. CPI activities are focused on resolving technical market access issues, promoting Canadian pork internationally and supporting member initiatives to increase the value of Canadian pork exports. To learn more about Canada Pork International, please visit: www.canadapork.com.